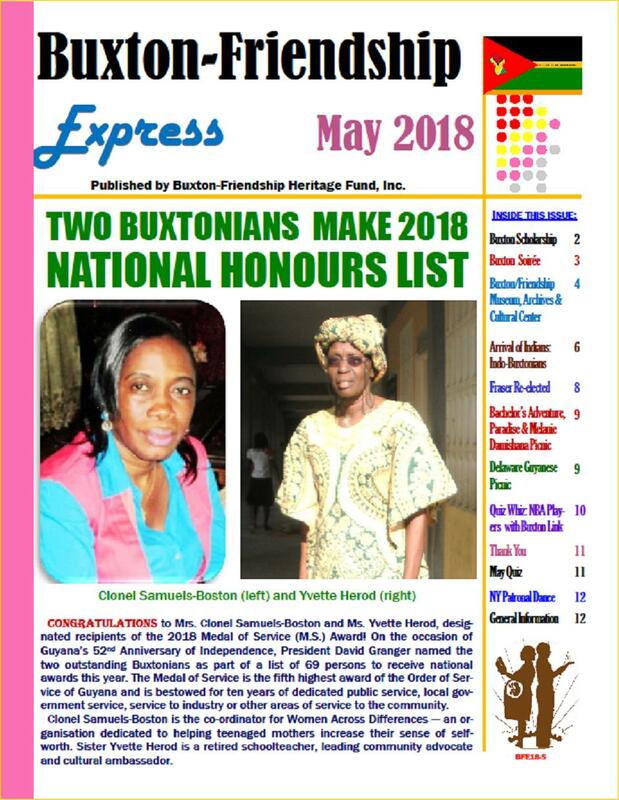 The May 2018 issue of the Buxton-Friendship Express is now available. We also take this opportunity to extend Best Wishes for a wonderful Caribbean-American Heritage Month – June – to all our U.S. residents and subscribers. You’re specially invited to celebrate the occasion with us on June 30th at our Buxton Summer Soirée in Brooklyn, New York. (More information is available on page 3). Proceeds from this event will help fund the purchase of school supplies and sponsor the four-week Vacation Reading, Math, Art and Culture Enrichment Programme for schoolchildren in our Buxton-Friendship community. We look forward to your patronage and greatly appreciate your continued support and generosity.